Hello dear readers, and welcome to the first real update of 2014. Needs some grimdarking/wierding up methinks - a servoskull or something of that sort. Apart from that pretty happy with this guy so far. 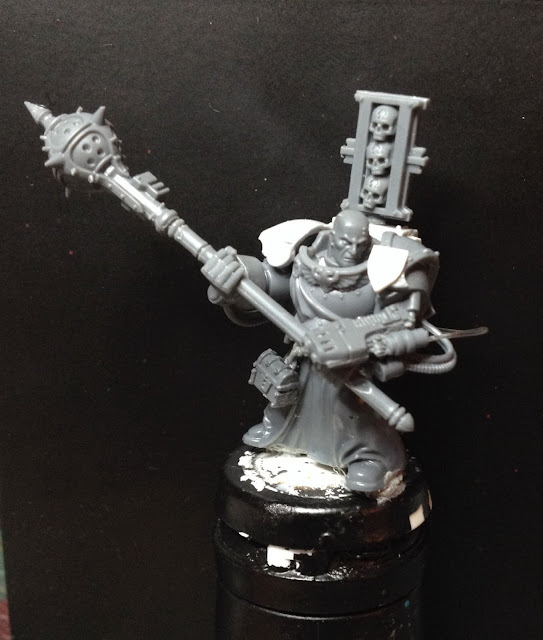 Also in the works are two more truescale marines. Lovely stuff as always, especially the first one is very characterful. I like him too - he's got some work done on him - I'll post new pics soon. Hmm, nice start for the new year! Looking forward to see where this leads! I like that Inquisitor. What did you use for the tubing that runs from his plasma pistol to his back? Good first blog post. The Inquisitor looks nice, particularly all the cables coming from his gauntlet. I think his staff might be a tad too long. Thoughts? The two marines are coming along well too. I think if you bulk out their waists and or breast-plates they would look better. As they are now they look really slender. For the first one, I think he would look better with a smaller sword. That would give more of a sense of scale and suggest he himself is large and imposing rather than simply his sword. Also I am not sure I like the pointing hand on him. I really like the Centurion head on him though. For the second, I would change the placement of his large purity seal, it looks a little awkward. Sorry for all the criticism, but hopefully some of it gives you some ideas. Keep up the good work! Always a pleasure to see your models. Good points all of them. You're probably right about the mace - I'll see if I can shorten it somewhat. 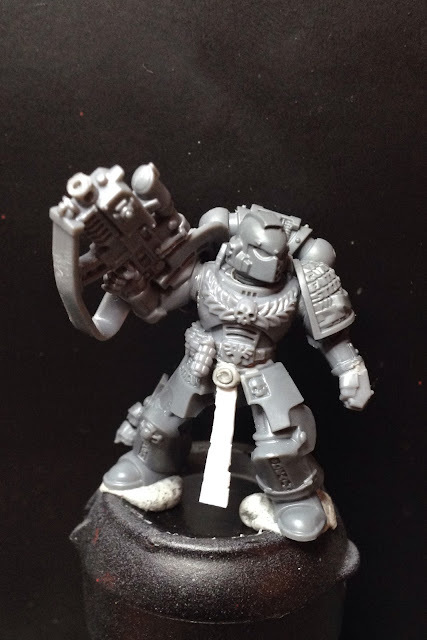 Bulking out the spacemarine... Not sure. i've done all my truscaly marines this way and it usually works quite welll in the end when they're painted. I am however toying with the idea of filling out the upper legs this time. The pointing arm has a different angel now which works better - there's was something wonky with the pose in this picture. 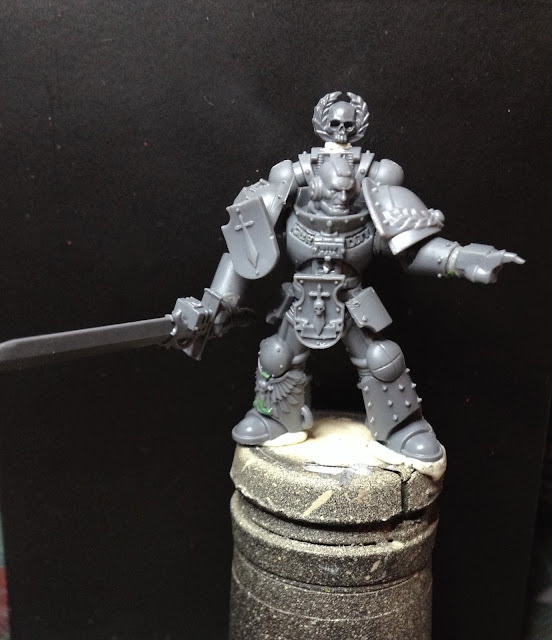 Something about the Inquisitor seems outsized - the arms to large or the leg area not tall enough?